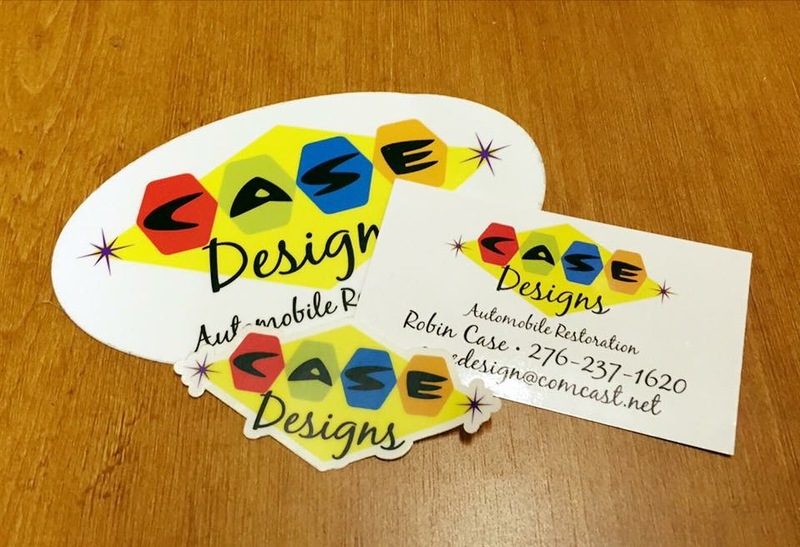 Robin Case of Case Designs came to me looking to create a logo for his business. He owns an automobile restoration business, mainly working with older cars from the 1950’s & 1960’s. He wanted a logo to represent that time period, and so we were able to help him out with that.